Below are several links anyone can click on to take action for humanity. Above and beyond these links, below are some ideas on what a person can do to take meaningful action both in their personal lives and on behalf of society. Taking action is often defined by what it is that you care about. I believe that one must first understand the fundamentals of the 3-part Learning Trivium in order to understand what action one is taking and why. First you obtain KNOWLEDGE. The knowledge phase is where mainstream media lies, government propaganda shills and disinformation trolls work hard to prevent you from obtaining the knowledge you need to take action. This is their opportunity to introduce "knowledge" and information that diverts your attention away from what they don't want you to know. Then there is the UNDERSTANDING phase. Again, here is where the powers that be attempt to derail or get you to misinterpret the knowledge that you obtained. Understanding the knowledge obtained is similar to a library with a lot of books. Understanding offers the individual organization of the information and ultimately it allows the individual to see the true context of the obtained knowledge in the proper perspective. Finally, there is the WISDOM and ACTION phase which is when you put it all together. True "action" is or should be based on wisdom which is based on knowledge and understanding. So it shouldn't surprise anyone that mainstream media and government get blind sheep to take "action" based on emotions which are based on government and mainstream media lies and propaganda. They push people's emotional buttons and get them to act on things based on primitive urges. This is not wise action. The actions promoted and encouraged on this site are true meaningful actions which are important for freedom and the course and integrity of the future of the human race. Here is a short list of small things one can do to take meaningful action. 2. Contact your elected officials and leave a record of your complaints with their office. 3. Start a local group to share truth and current REAL news. Here in Los Angeles I organized We are change Los Angeles where some of us get together every month and go over a lot of content to stay updated on what is happening. Anyone can start a meetup or other kind of local group to attract truth seekers. 5. If you do have a group of people, organize yourselves and plan strategic meaningful actions and discuss what your goals will be and how you expect this action to be meaningful and effective. Here in LA we occassionally do public educational tabling which reach a lot of people. 6. Get creative. Think outside the box and see what you can come up with. Many people create ideas that reach others. Things like holding up street signs in a way that does not break the law or disrupt traffic or business can be very effective. These are just some ideas on how you can take action. Of course there are many things you can do in your personal life such as choosing where you spend your money, what you eat and such that can have an impact on your life and the lives of people around you. Below are links and images to other actions you can browse through and take part of. 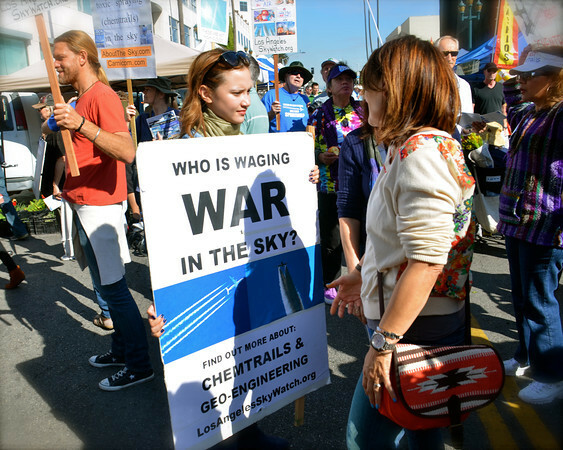 Sign petition now to immediately stop the aerosol spraying of our nation's skies. 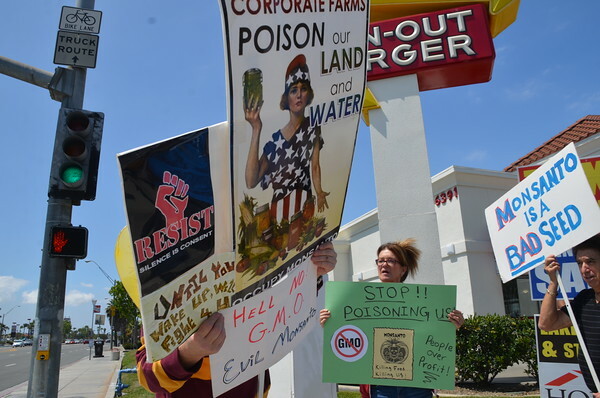 "The greatest tragedy is not the strident clamor of the bad people, but the appalling silence of the good people"
May 23 2015 March Against Monsanto rally at 2nd St. and Pacific Coast Hwy Long Beach California. This was one of many rallies taking place globally against the Monsanto death machine. This year (2015) is said to be the largest rally ever against Monsanto. Click on image to view picture gallery. Keep the Promise! 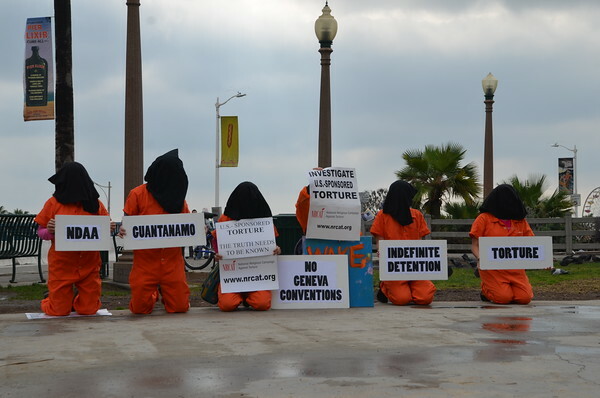 Close Guantánamo Now! 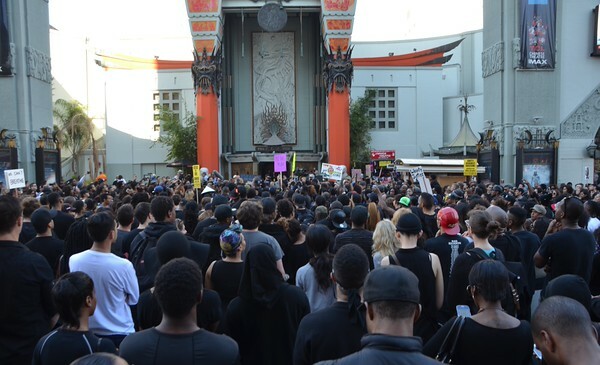 Solidarity march in Hollywood California demanding justice for the murders of Michael Brown and Eric Garner. Both men were murdered by police who later got away with the murder. A sign of a dangerously growing police state. 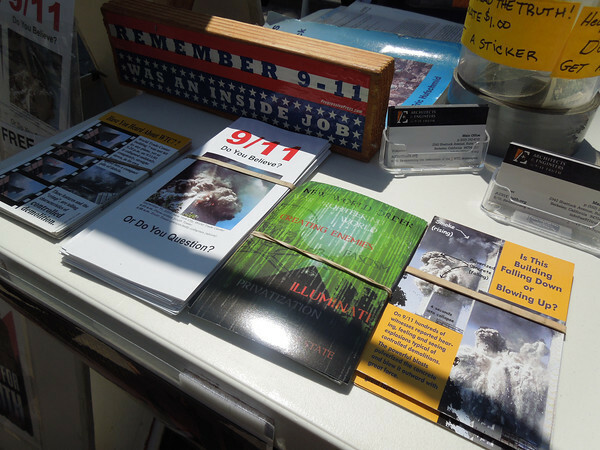 9/11 Artwalk 'Truth and Healing' event commemorates 9/11 13th anniversary by reflecting on what really happened on 9/11. 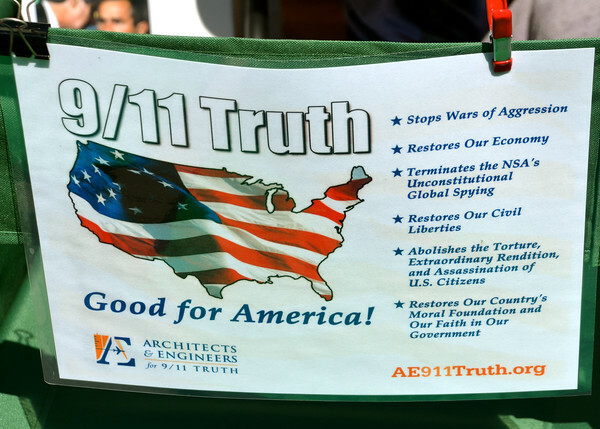 America is tired of being lied to and healing cannot begin until we have the courage to see the truth for what it is. 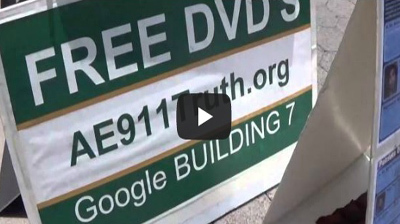 9/11 Truth Freeway Bannering- We Are Change L.A.
We Are Change L.A. freeway bannering in Hollywood California. 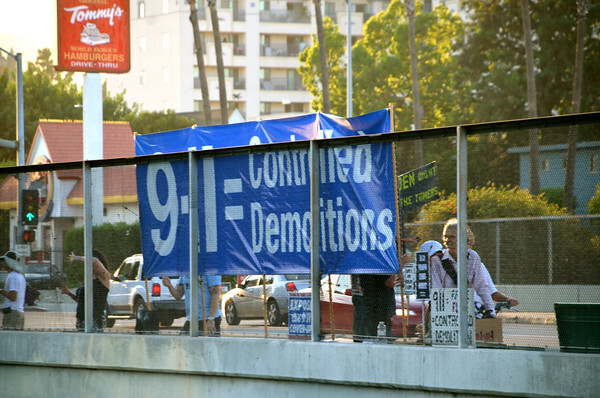 An estimated one hundred thousand people were exposed to the message of 9/11 truth with this freeway bannering campaign in Hollywood Los Angeles on September 11, 2014. Click image to view entire gallery. The Israeli owned ship Zim Haifa arrived in Southern California early this morning (Saturday, August 23). The ship was scheduled to be unloaded today at Pier A of the Port of Long Beach. 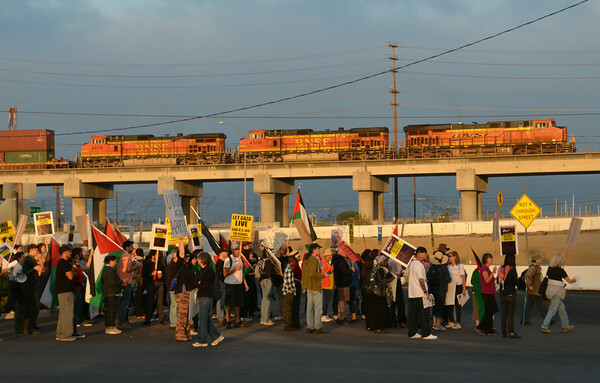 Over 250 people from throughout Southern California took part in the Community Picket at the entrance to the Pier called by the Block The Boat - LA Coalition. We were there to show strong community support for the recent call by the Palestinian General Federation of Trade Unions (PGFTU) and the Congress of South African Trade Unions (COSATU) asking workers around the world to stand in solidarity with Palestinian workers, particularly those in Gaza who have been targeted so brutally by Israel over the last month, by refusing to handle Israeli goods. 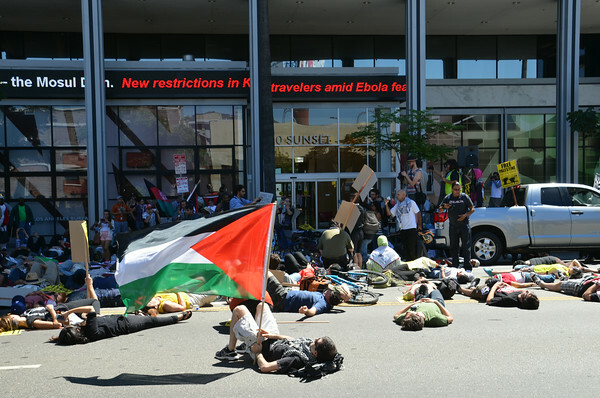 AUG 16, 2014: March On CNN, STOP THE GENOCIDE IN GAZA!! STOP THE WAR CRIMES AND GENOCIDE IN GAZA COMMITTED BY ISRAEL! Protesters rally in Hollywood CA in front of CNN Building. Click image to view entire gallery of photos. "Nothing to see here, just the life in Gaza. 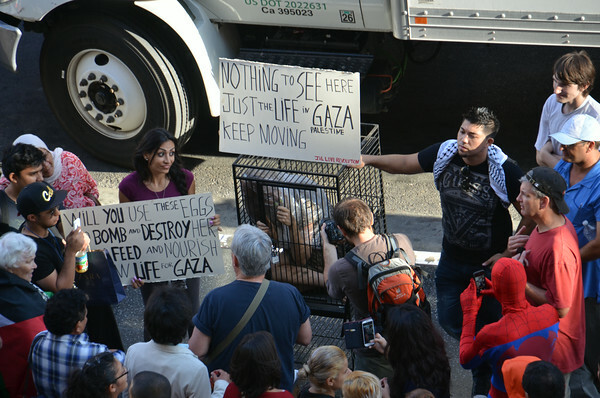 Keep moving"
Hollywood woman stuns crowd with powerful message against Israeli war crimes on Palestinians in Gaza. Click image to view entire gallery of photos. 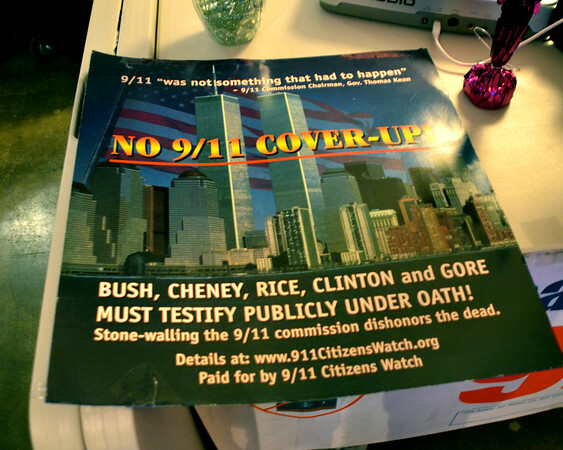 Commemorating the 13th anniversary of September 11, 2001 global government attack on our nation. We Are Change chapters merge for outreach effort. Between 300-400 Truth DVDs handed out!